I woke up this morning to find this photo texted to me from the lovely Meligrosa. 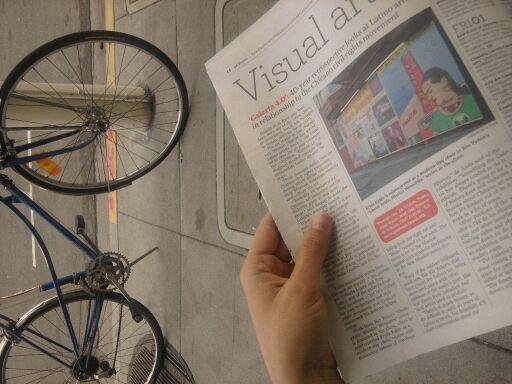 The article has an in depth discussion of my work in Galeria de la Raza’s 40th Anniversary show. It was a total surprise to me and made my day. You can read the full article at SFGAte HERE. ♥frenchie y frida look muy chingonas together! !